Peanut butter is probably one of the best inventions made by man. It is something that you can put in a lot of food recipes and can even be eaten alone. It’s on chocolates, biscuits, and other delicacies. That is why it’s no wonder that the demand for peanut butter is so high today. If you go to a supermarket or any grocery stores, you will find that there are so many brands of peanut butter are available to the market. It’s no wonder that many people are curious about how these are made. In the U.S alone, there are about 1.9 million tons of peanuts produced by local farmers annually in about 1.44 million acres. 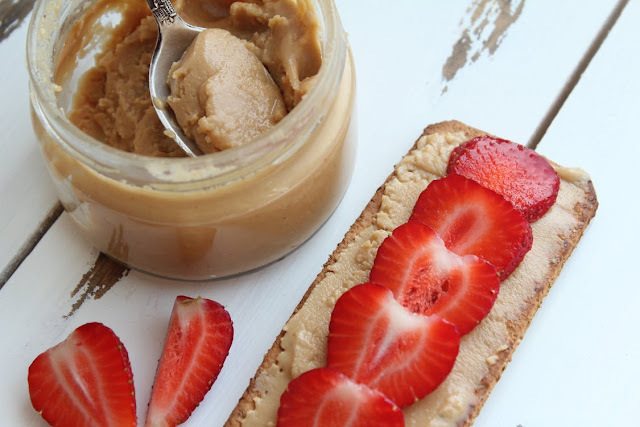 The biggest states that produce peanut butter are Alabama, North Carolina, Georgia, Texas, Oklahoma, Florida, Virginia, South Carolina, and New Mexico. And among all these states, different types of peanuts are produced. In order to make a 12-ounce jar of peanut butter, you will need to have about 540 peanuts in it. That is about 45 peanuts per ounce. These peanuts go through several grinding processes and are also heated but not too much. Additional ingredients are also added such as sugar, salt, and hydrogenated vegetable. In fact, some also have chocolates or milk. If you want to make a homemade peanut butter, you may consider adding chocolate from Santa Barbara Chocolate. Peanut butter has been around the world for about 128 years since it was developed since 1890. Although, it is known that the Aztec were already known to have made it from ground peanuts during the 15th century. In fact, records show that people in South America more than 3000 years ago have made pottery and jars with peanuts on them. It has been around for a while which makes it a familiar food to a lot of people today. When it comes to making peanut butter, runner peanuts are the most preferred peanut butter to be used as they have the strongest flavor and are uniform in size. This makes it very easy to be roasted evenly before the grinding process. For this reason, more farmers are interested in growing runner peanuts among others. The states that grow most runner peanuts are Florida, Alabama, Mississippi, and Georgia. The need for peanut butter in the market is so vast that there are more than 5000 Southeastern farmers today that grow about 1.15 million acres of peanuts. And on top of that, peanut butter factories need more people as well to complete the whole process of making peanut butter. From the grinding to the packaging, it is safe to say that peanut butter gives a job to a lot of people.